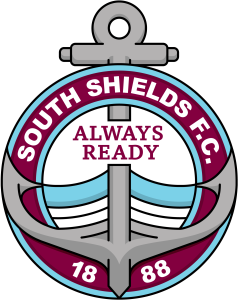 Tickets for the Durham Challenge Cup final between South Shields and Shildon will go on sale from Saturday. The final is taking place on Friday, May 3rd (7.30pm kick-off) at Sunderland AFC’s Stadium of Light. Tickets are priced at £10 for adults and £5 for concessions. Shields have been given an initial allocation of 2,500 tickets. They will go on sale from 1pm on Saturday at Mariners Park’s former club shop, which is situated next to the players’ tunnel. Supporters will also be able to purchase 2019-20 season tickets from the same outlet on Saturday. Remaining tickets will then be sold between 12pm and 5pm on weekdays at Mariners Park. Opposition supporters are to be segregated at the final. Shields supporters will be able to enter the stadium through turnstiles one to eight. Because of alphabetical order, SSFC have been designated as the away team for the final. Supporters coaches are asked to park in the stadium’s blue car park. Fans are reminded about a potential fixture conflict surrounding the final. Please click here to read full information.